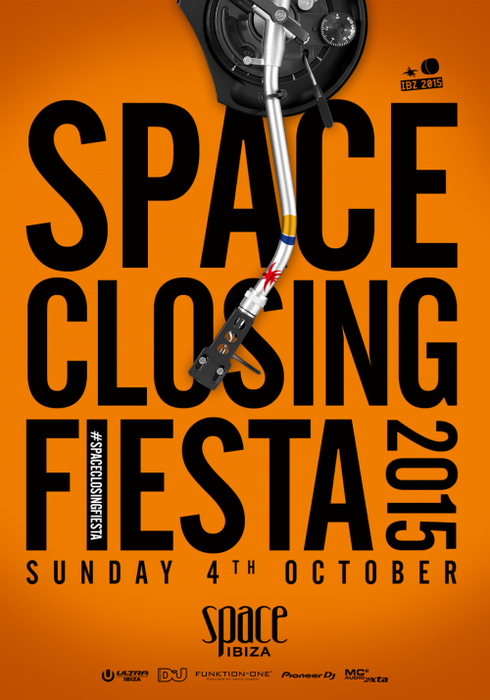 ﻿Sunday 4 October 2015 marks the date for this year’s Space Closing Fiesta. All six areas will be opened, including the outdoor zone located in the rear of the club, which will be hosted by Ultra Ibiza, representing the largest independent brand and possibly the world’s most successful electronic music festival. This outdoor area that only opens during the Openings and Closings; and during the last anniversary, will be the first to open at 4:30 in the afternoon. In addition, DJ Mag will host the Main Room and elrow will bring their personal touch of colour, madness and fun at the Sunset Terrace. El Salón and the Premiere Etage will also be open to complete the six different rooms on offer. This year’s club nights have included Raw Change, Glitterbox, Vagabundos, ENTER,. Vagabundos, elrow-Kehakuma, Clandestin Presents Full On Ibiza and Carl Cox Music Is Revolution. Look out for the line-up details which will be announced shortly.